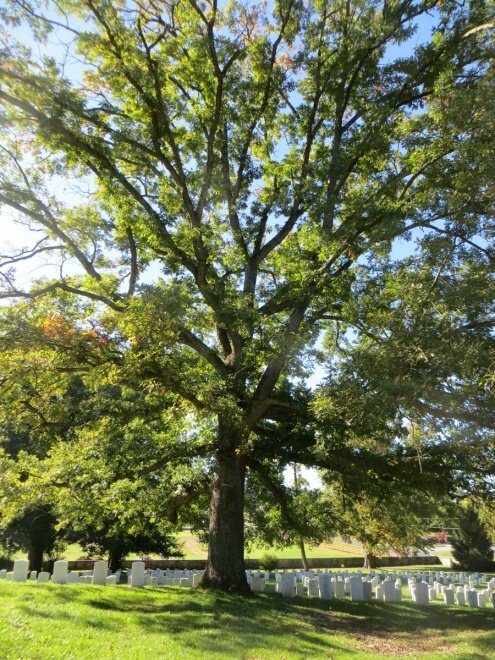 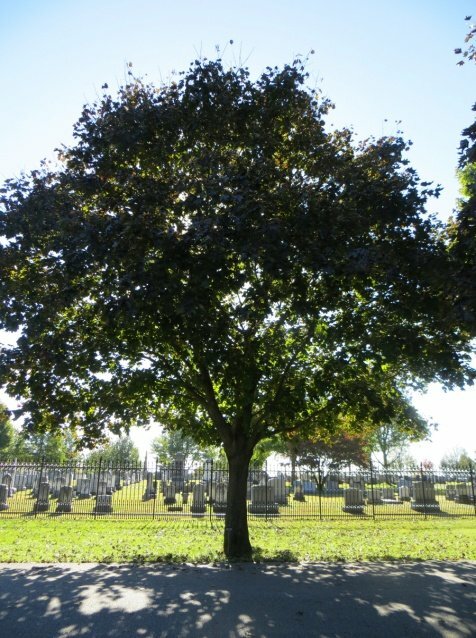 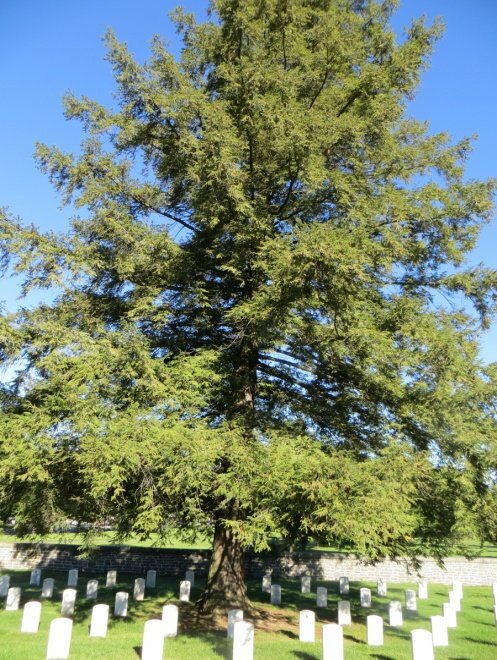 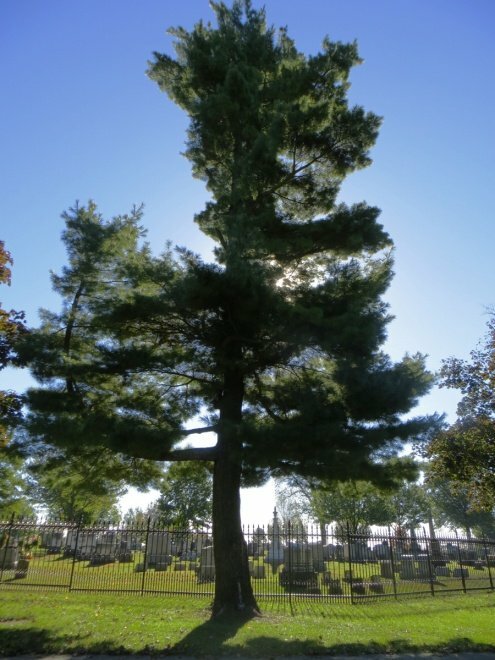 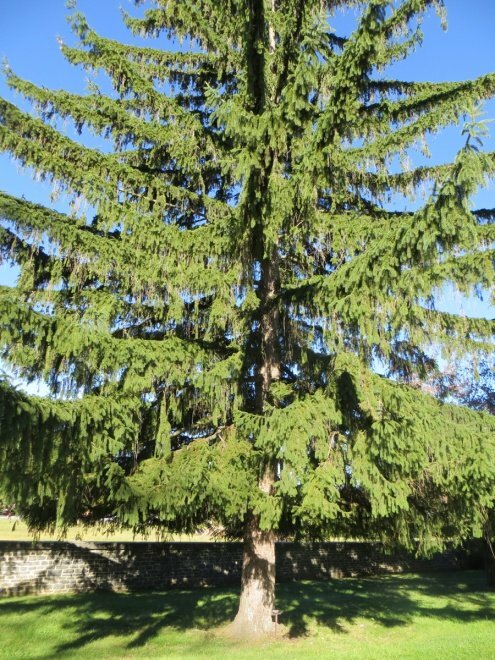 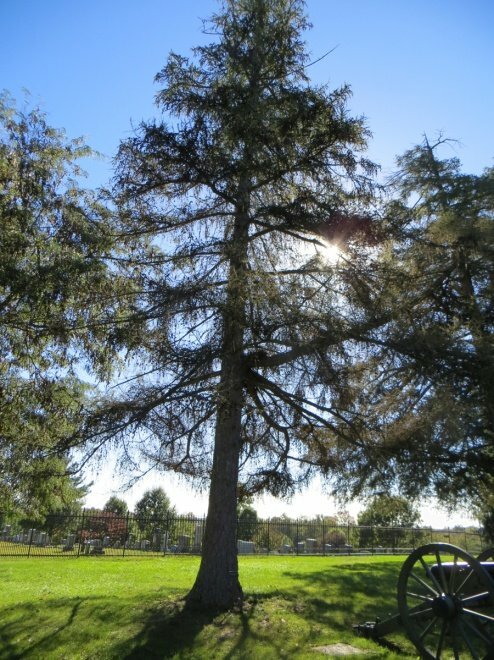 A botanist designed that layout of trees in Soldiers’ National Cemetery. 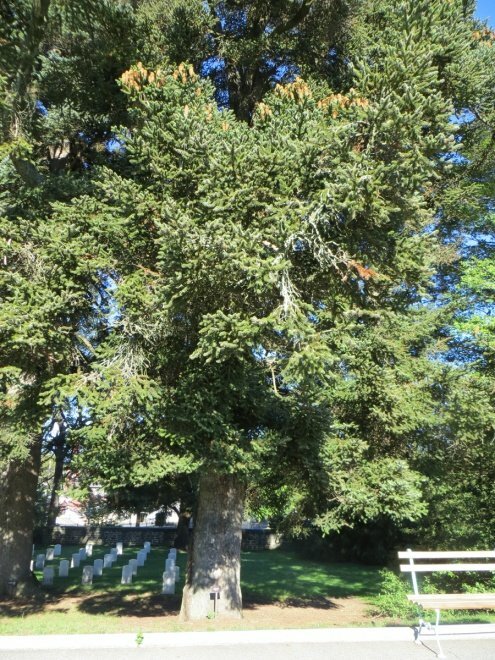 Each species of tree is labeled for visitors. 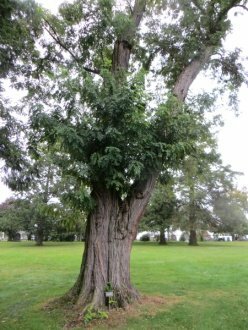 In this article, we offer a collage of photographs. 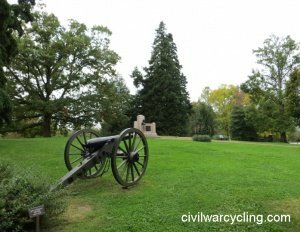 Dedicated on November 19, 1863, and the site of President Abraham Lincoln’s Gettysburg Address, Soldiers’ National Cemetery is the first United States cemetery developed on a battlefield. 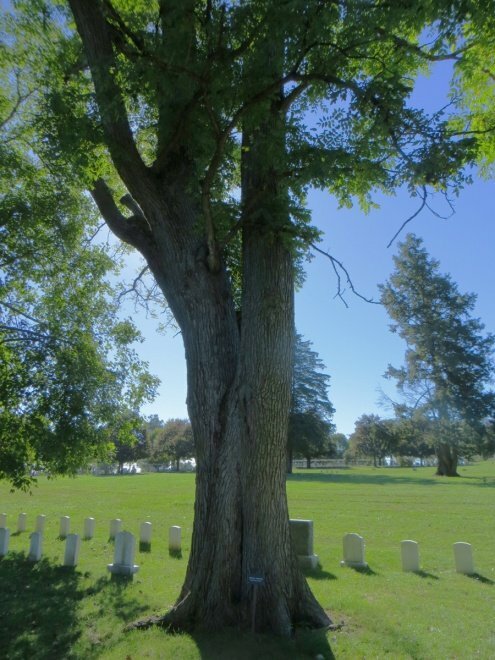 The cemetery was established for the burial of Union soldiers mortally wounded at the Battle of Gettysburg. 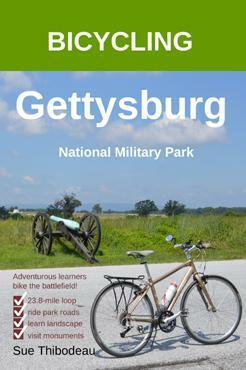 The work was sponsored by Pennsylvania Governor Andrew Curtin with the help of Gettysburg attorney, David Wills. 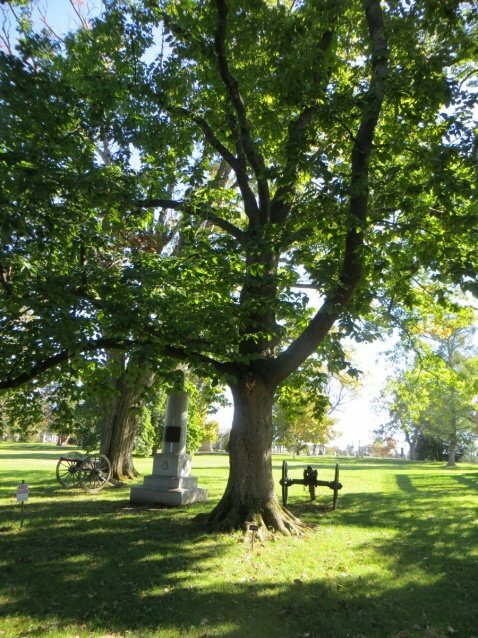 Wills purchased seventeen acres of land from donations made by the states of Connecticut, Indiana, Massachusetts, New York, Ohio, and Pennsylvania. 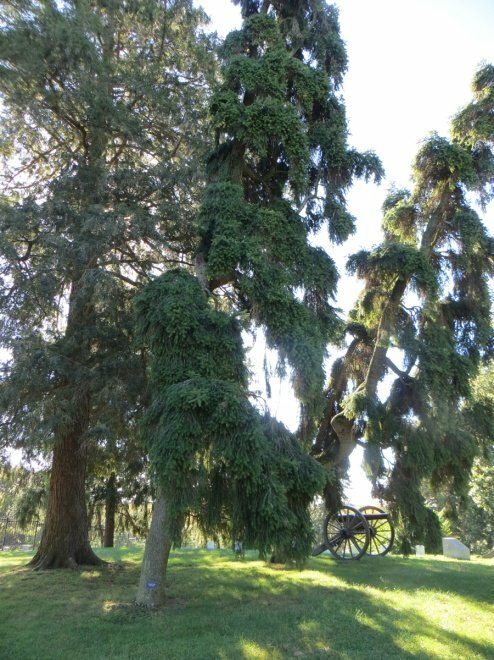 The cemetery shares its southern boundary with Gettysburg’s Evergreen Cemetery. 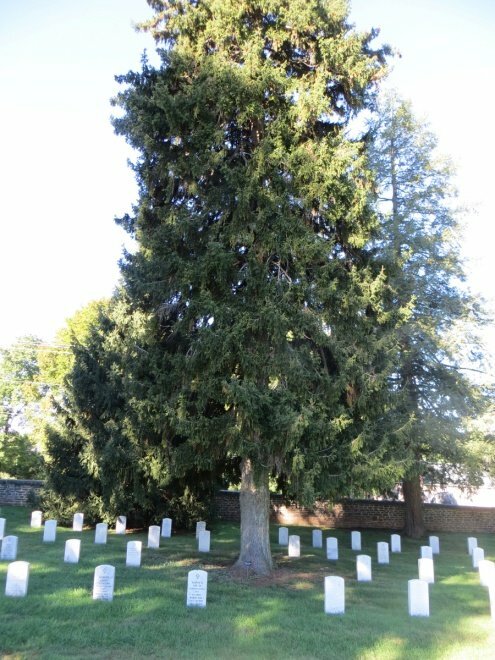 Botanist William Saunders designed the burial landscape, which included the selection and placement of trees and semi-circular pathways for graves for about 3,600 soldiers. 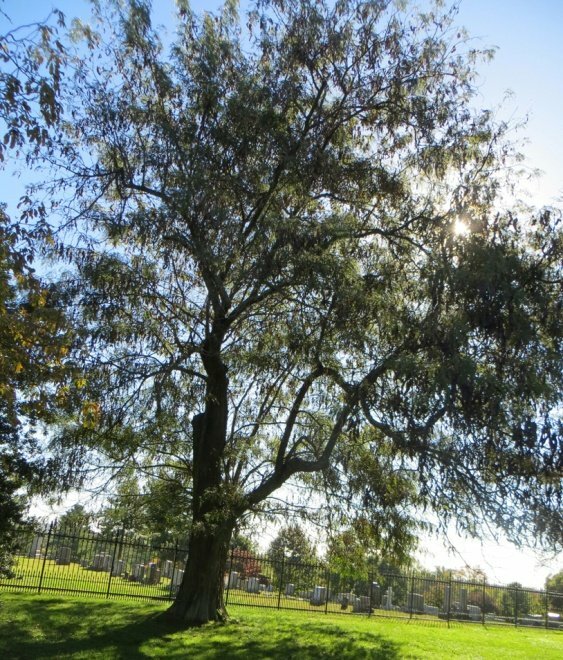 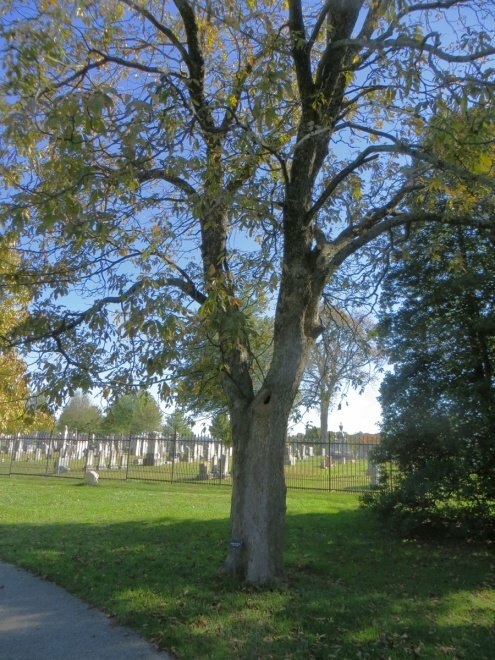 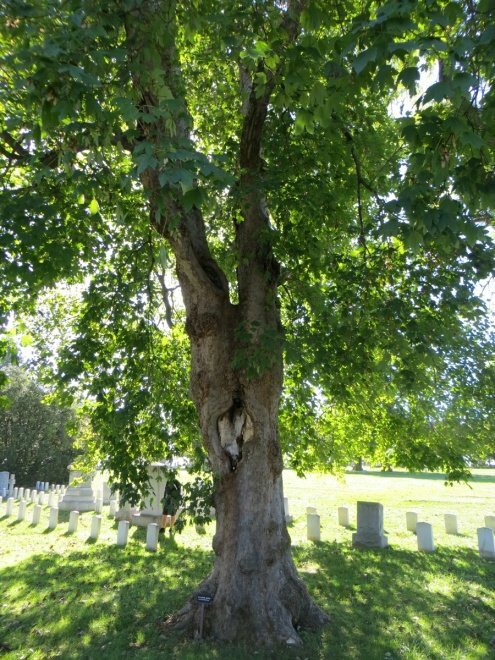 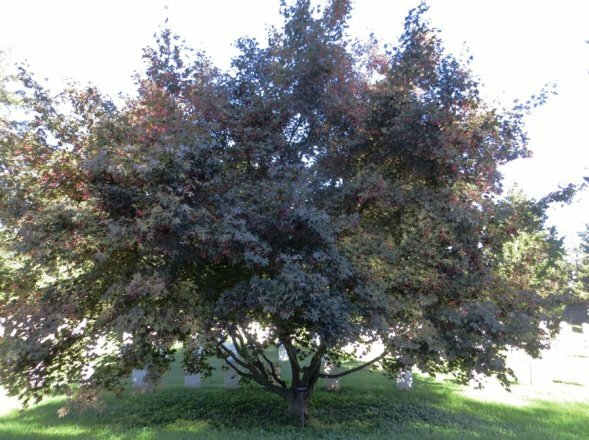 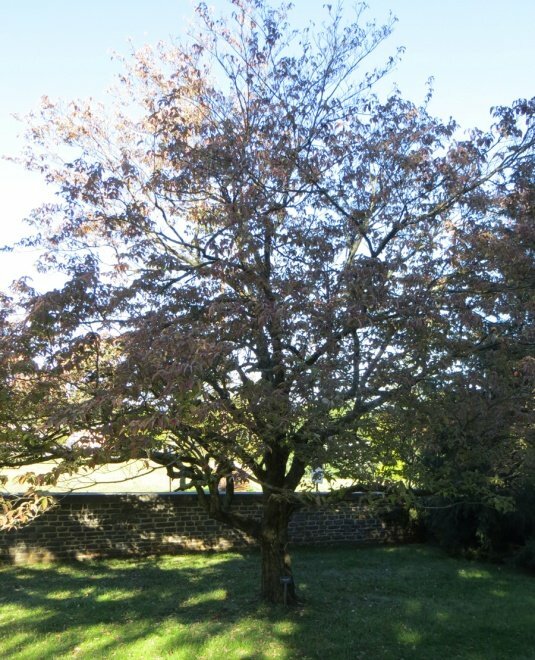 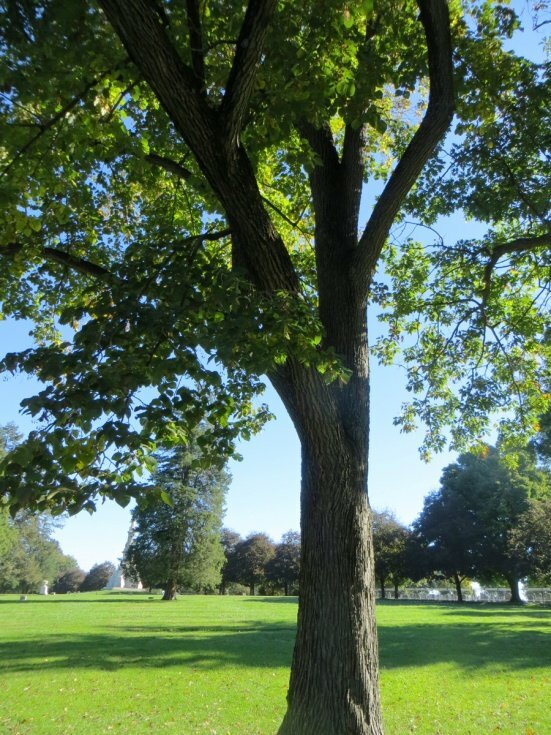 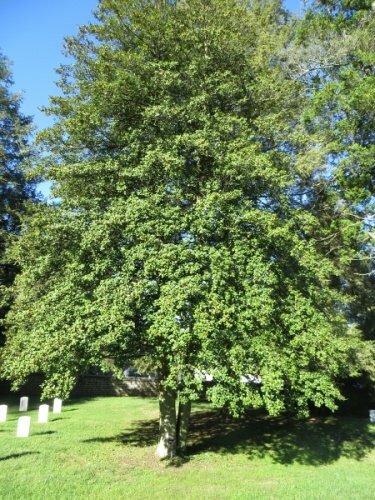 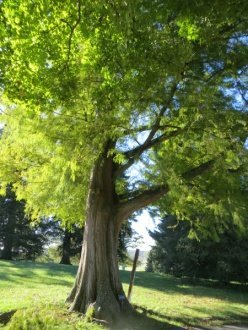 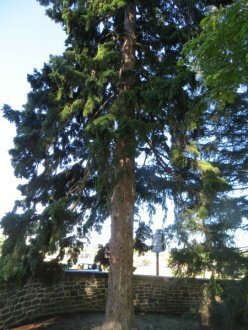 While bicycling Gettysburg in October 2015, I photographed one tree for every labeled species in the cemetery. 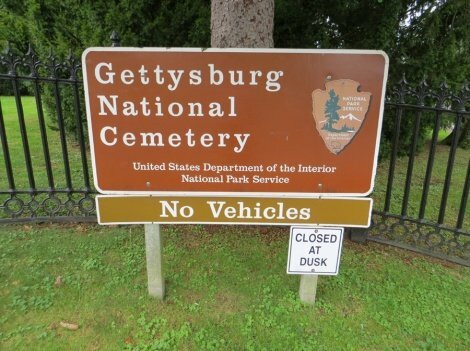 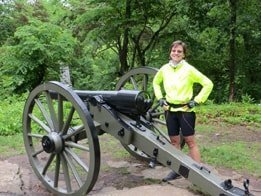 Although the national cemetery does not permit bicycles, two bicycle racks are available for your use — one at the Baltimore Street entrance and the other at the Taneytown Road entrance. 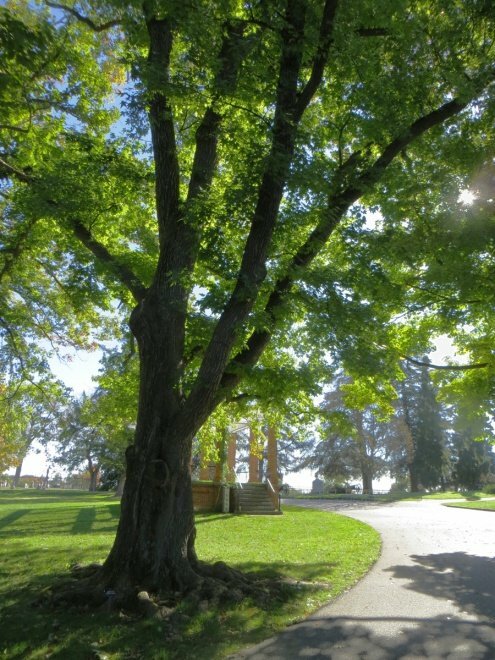 Please respect this sacred space and walk the grounds. 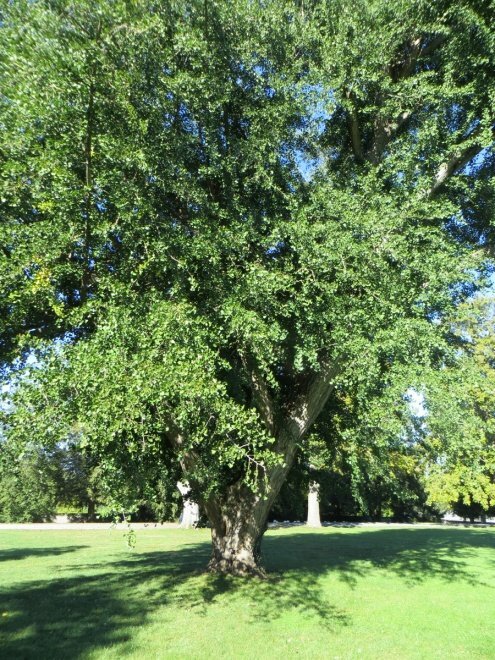 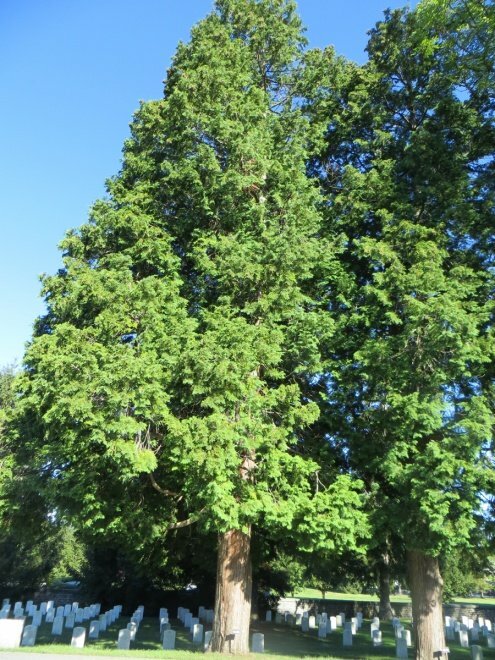 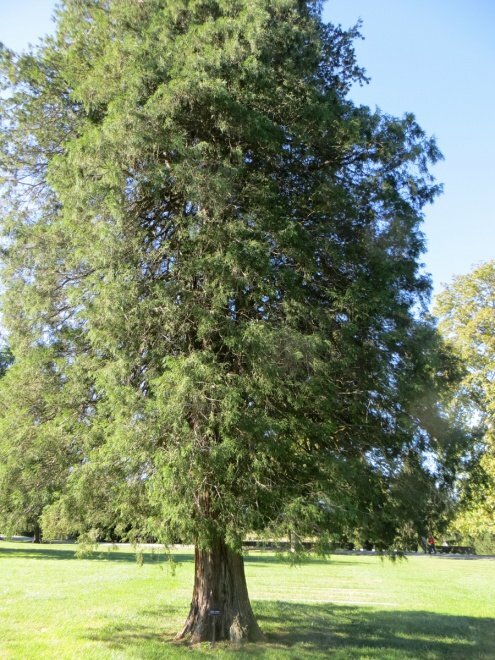 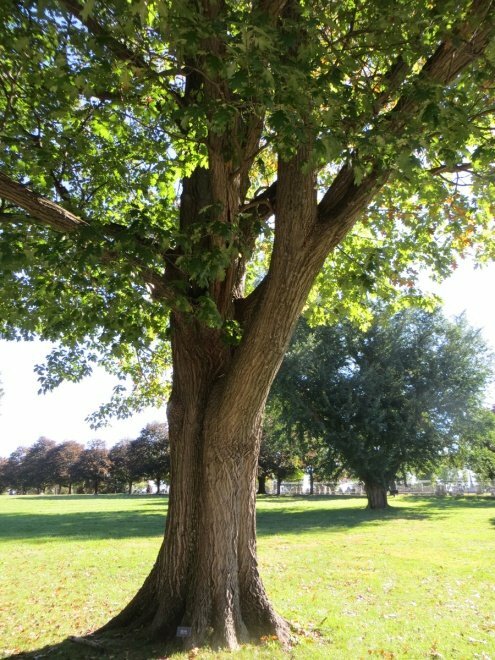 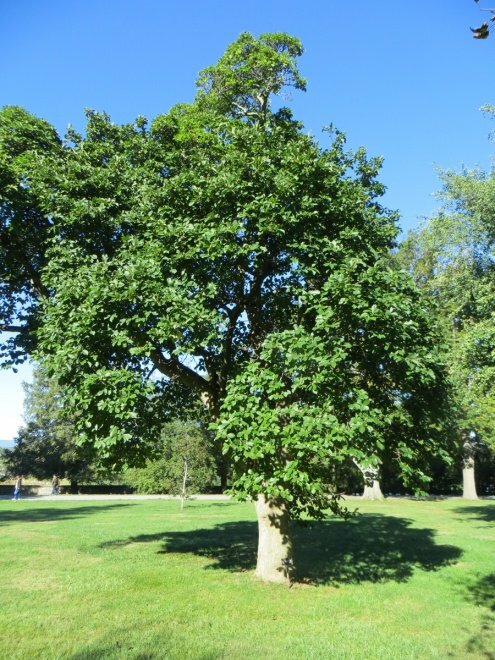 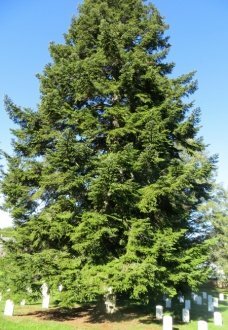 In the photo gallery below, hover over the image with your mouse (or gently press the image on your mobile device) to read the name of the species of tree. 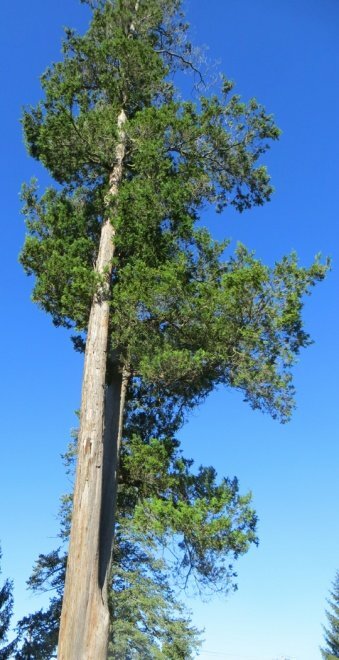 How many species can you count?